SQLyog gives an option to change the language in user interface. Non-English speaking users can change the language from the dropdown list Tools-> Change Language which shows available languages. If you click on one of these languages, all user interface elements are translated into that language after SQLyog restarts. The installer has an option to use either English or Japanese. The language you select here will also be the default language use for SQLyog GUI. Once you start SQLyog, you will get a screen as shown below. Select "Change Language" another window with a drop down will appear as shown below. 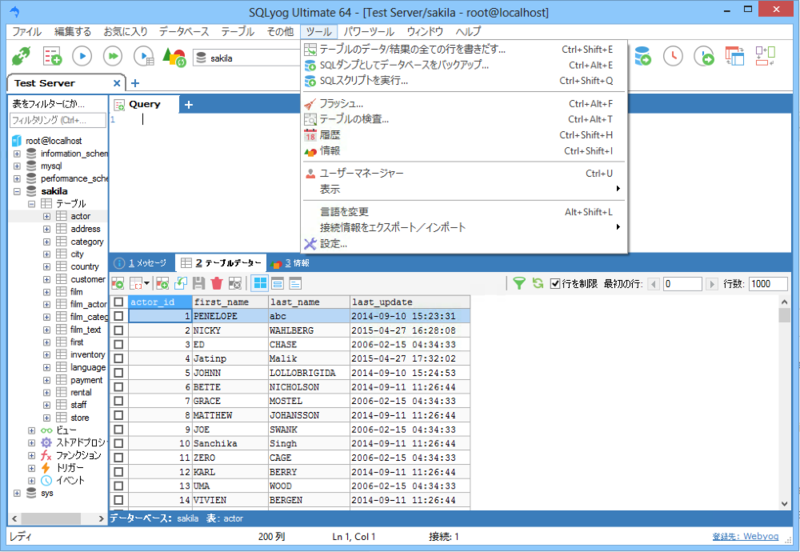 Once you select Japanese close SQLyog and restart again you will have the new interface.